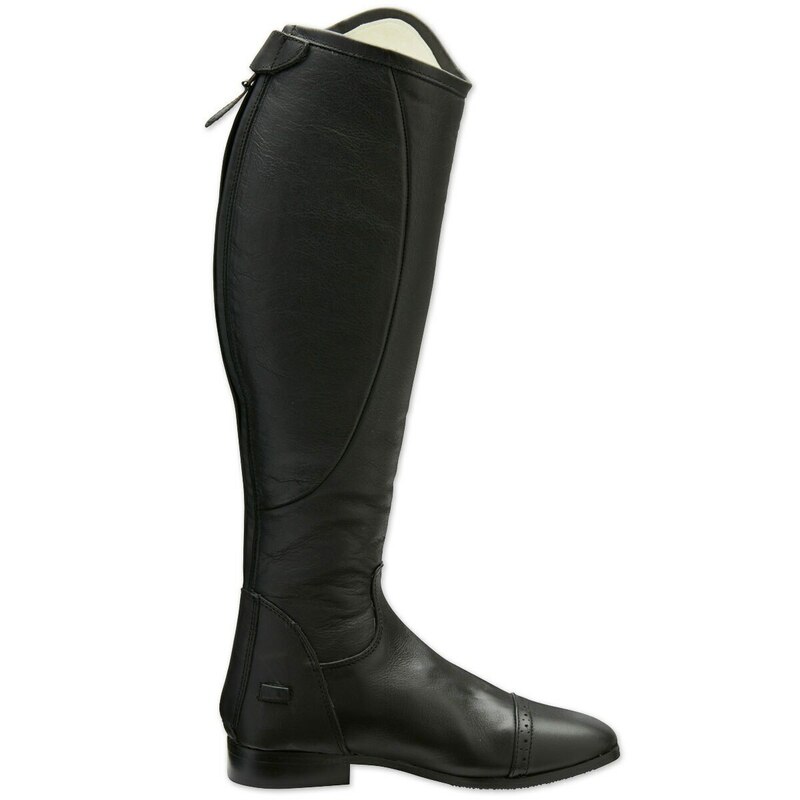 This elegant equestrian boot is crafted with ultra-soft leather and an elegant square toe design for a traditional look in the show ring. 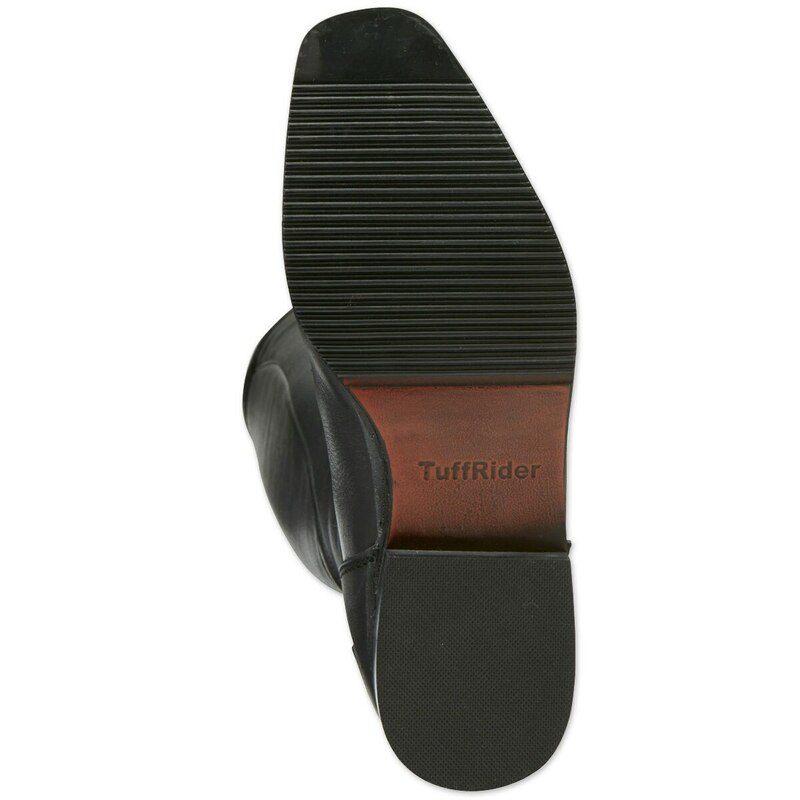 Tuff Rider Regal Dress Boot is rated 4.5 out of 5 by 4. Rated 5 out of 5 by cathy from Great fit. Perfect contouring fit. Nice leather and flexible. Rated 4 out of 5 by PiaffePrincess from Good value, but need a short option I ordered both the regular and wide calf boots to try on but sadly neither worked. I probably would have kept a pair if they had fit because they seem to be a good value. 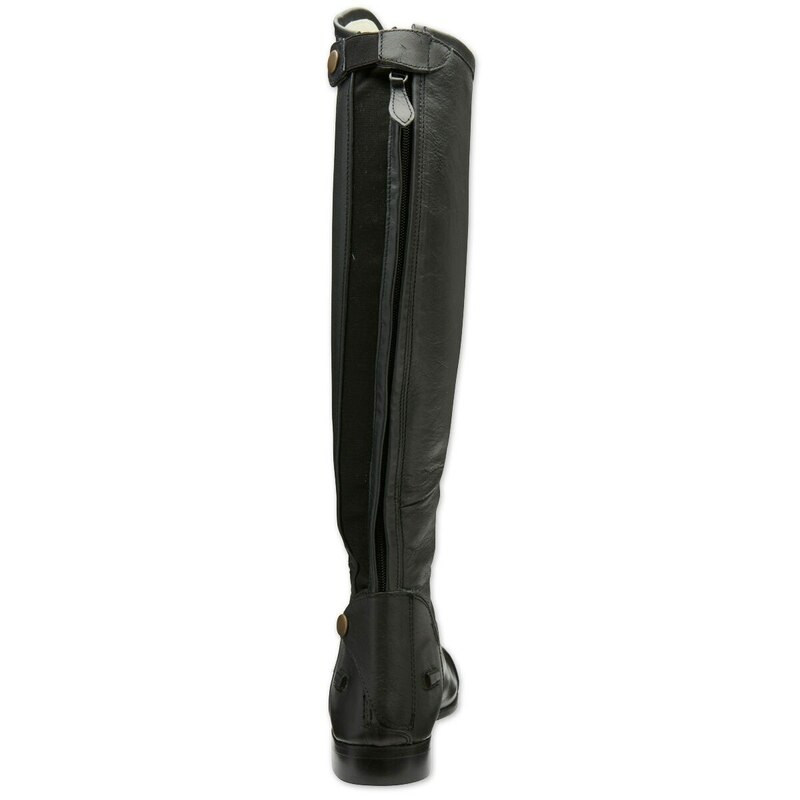 The leather was soft and supple, making me think break-in would not take long at all. The footbed was comfortable also, although I only walked around the house in them. The regular calf boots actually fit pretty well except for being too tall for comfort. One strange thing with the wide calf boots, the leather inset at the top sits weirdly toward the front of the boot--I think this is because the manufacturer simply added material to the calf without adjusting the proportions. Wish I could get the regular calf in short height! Rated 4 out of 5 by ch513 from great price for great boots I bought these boots about a month ago- the first pair I got in, the zipper busted the first time I walked around in them. 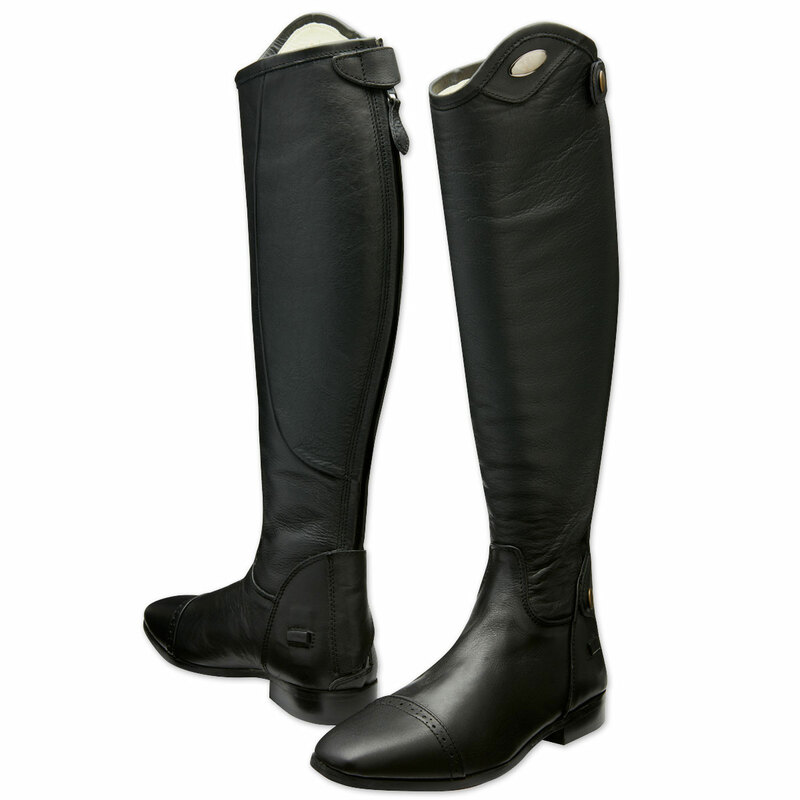 luckily, SmartPak exchanged them for a new pair! I got these boots to replace my Tredstep Donatellos as schooling boots, which took forever to break in. I've been riding in this pair for about a week, and I really like them. It hasn't taken too long to break them in, they already feeling pretty good after one week.. They look really nice, I love the square toe as well as the other features of the boots. I wish there were more sizing options, as mine have dropped a lot already. 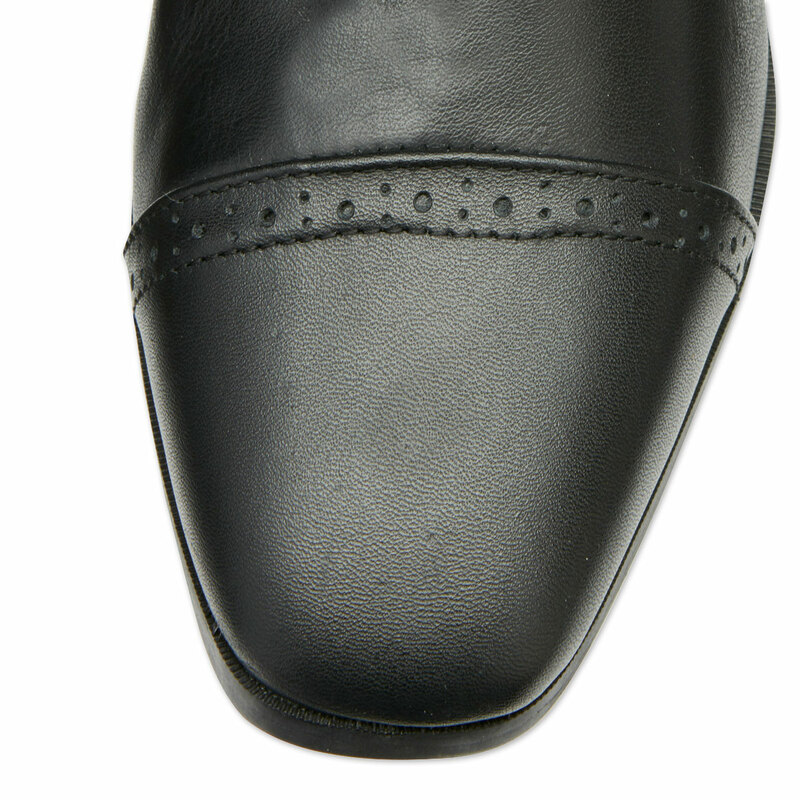 For reference to anyone else the stretch panel allows a lot of give- my 15 in calf fit in the regular size very well. 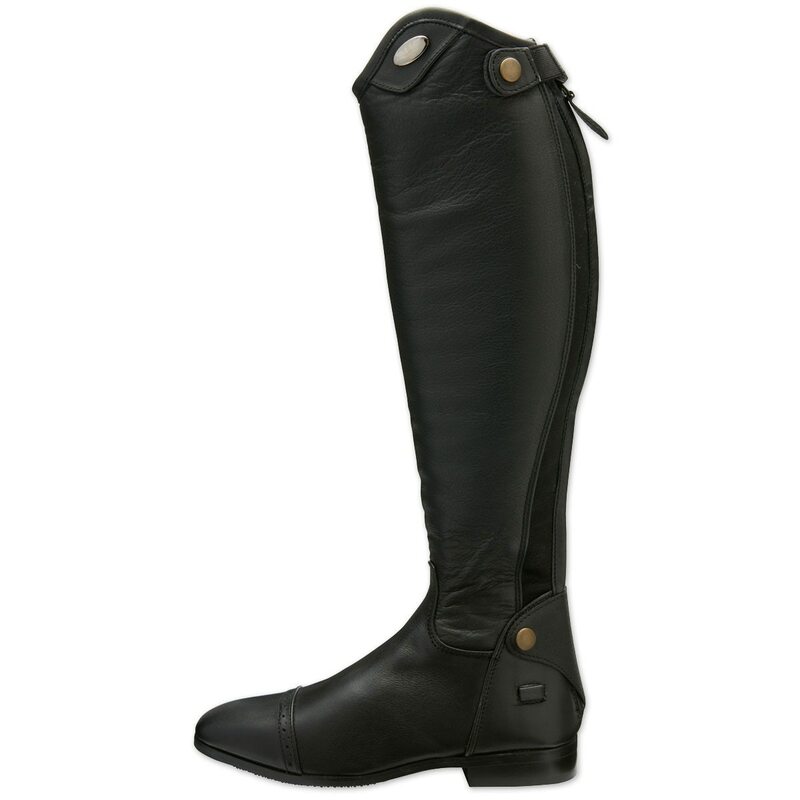 I would have liked them in a taller size but for the money they are really great schooling boots and are nice enough to show in. I can't say much about the durability quite yet- hopefully they hold up! Rated 5 out of 5 by Barrett from Love Them! 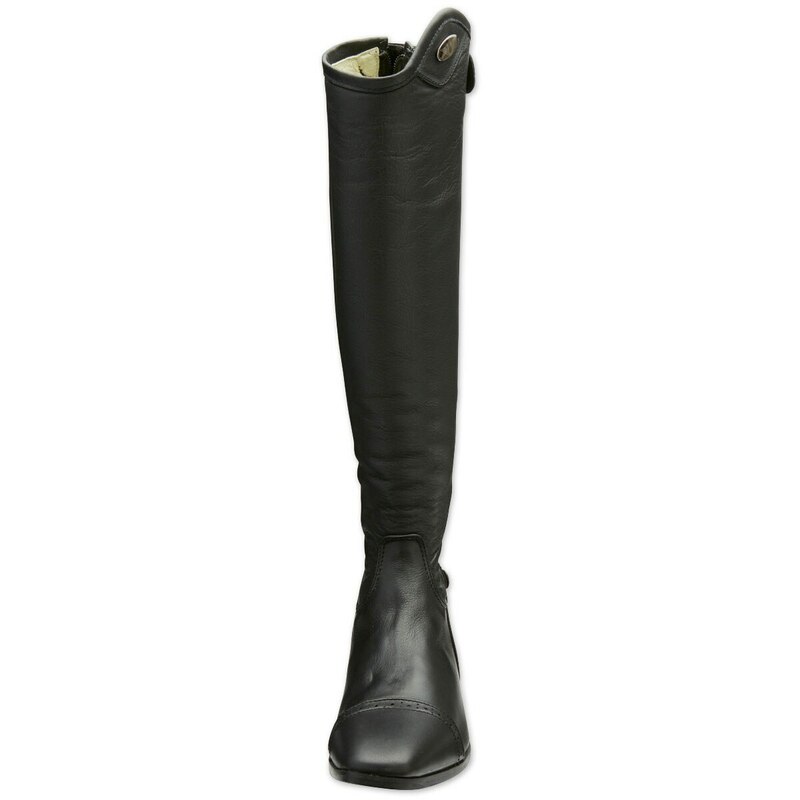 These boots are incredibly comfortable and such great quality!